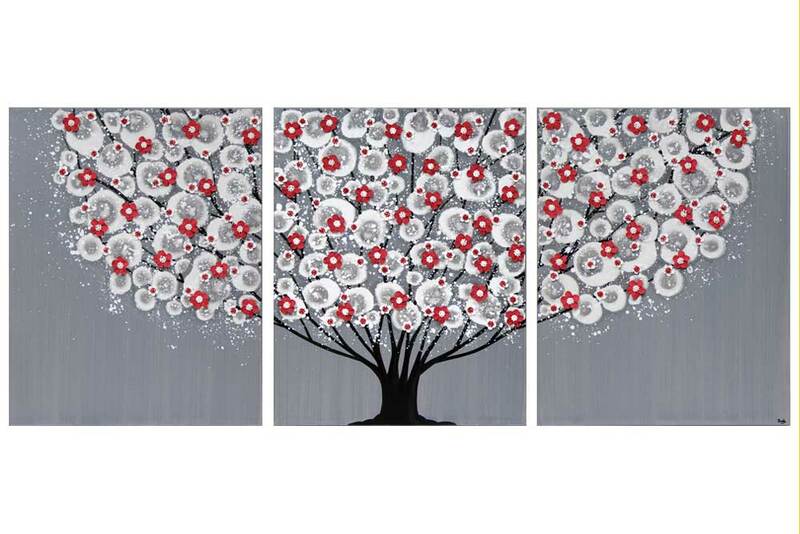 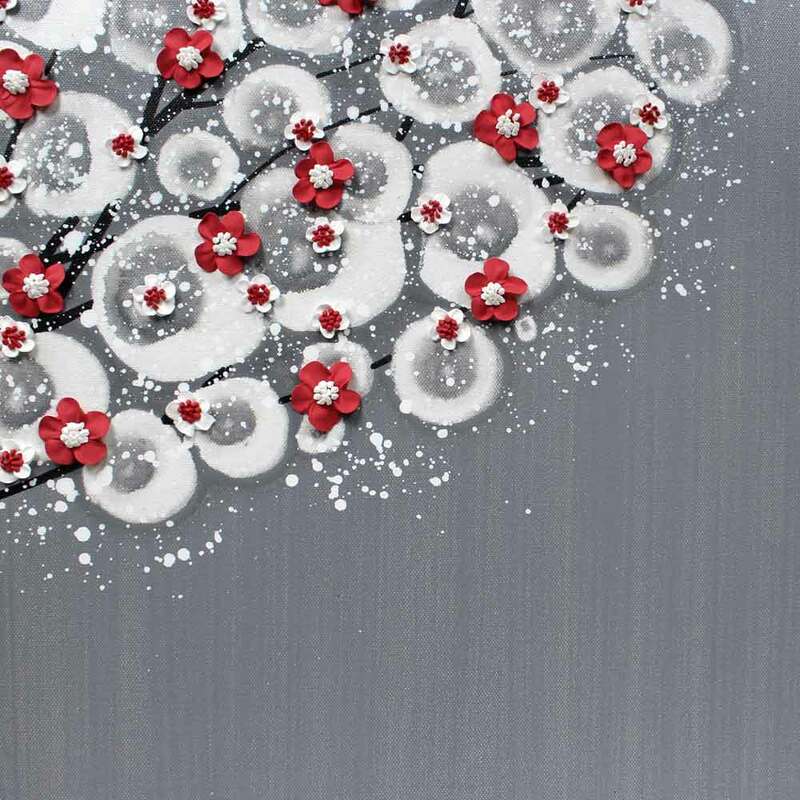 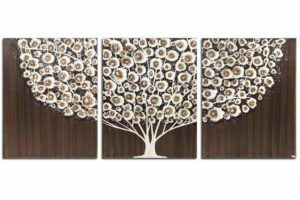 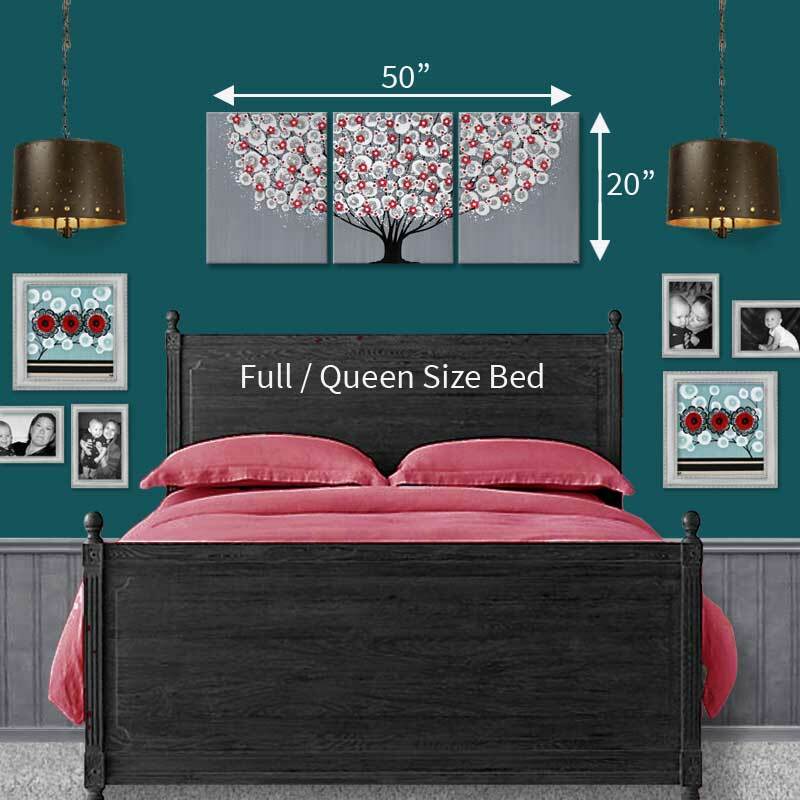 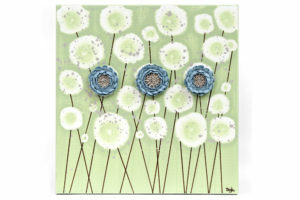 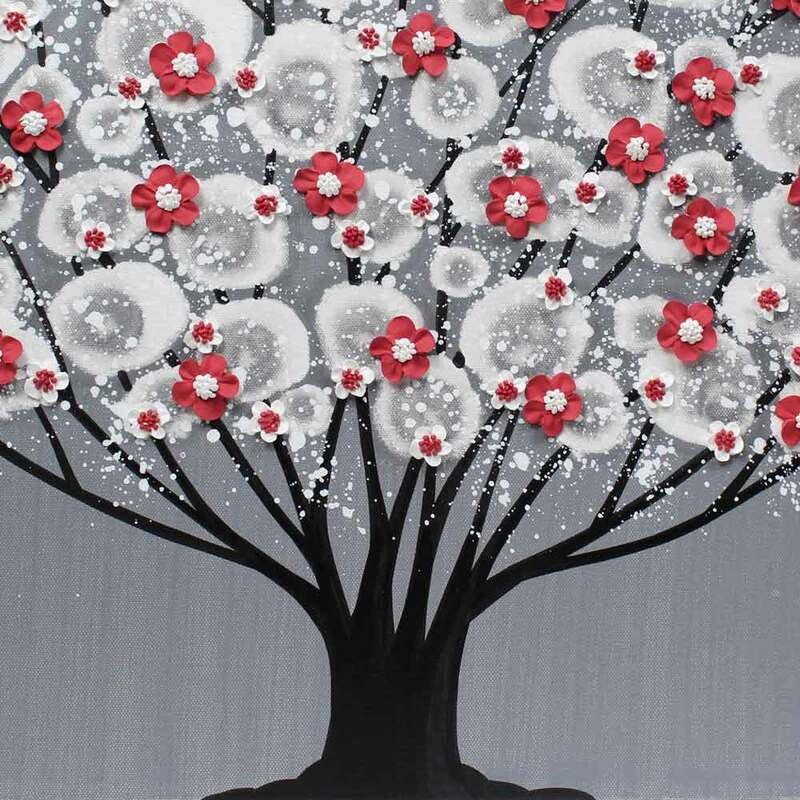 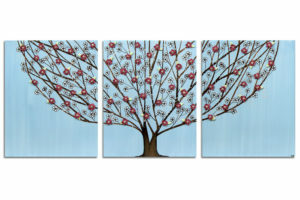 The gray tree in this wall art is hand-painted on three canvases that hang as a large triptych. 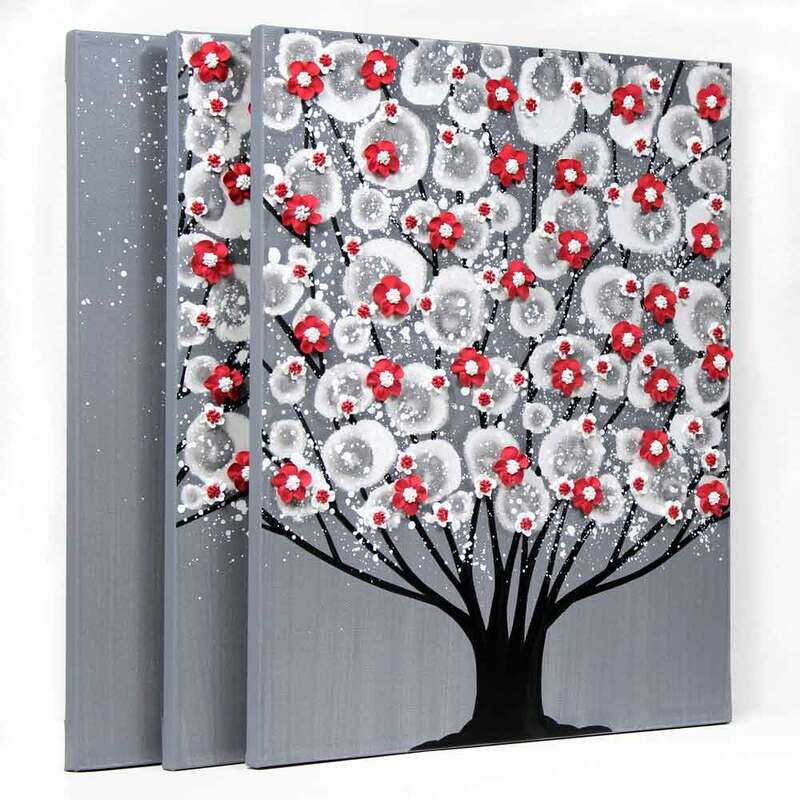 Coordinates well with black or white furniture finishes. 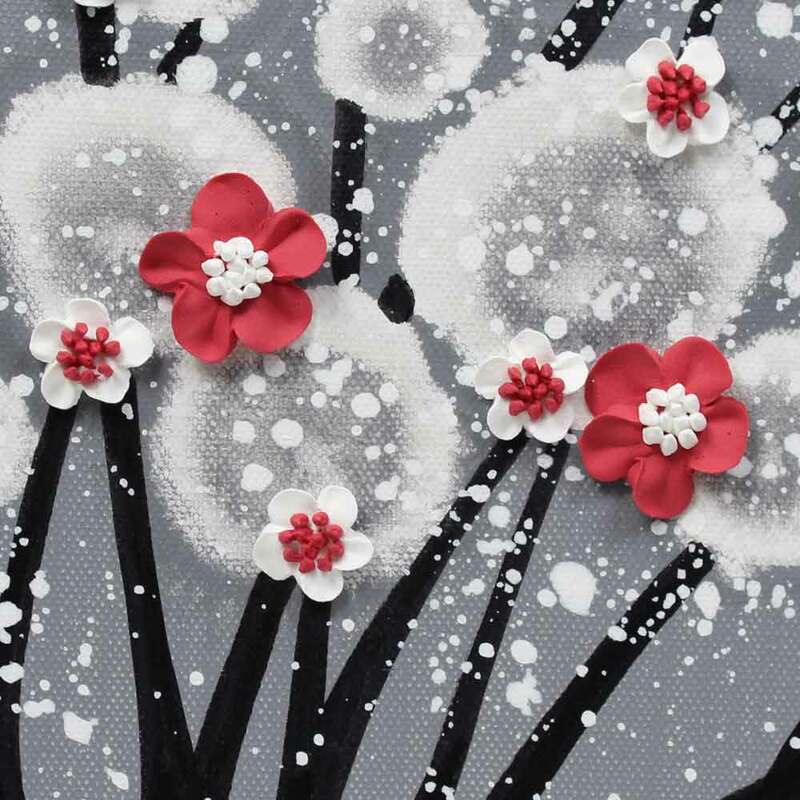 The flowers in the tree top are hand-sculpted in cherry red and white. 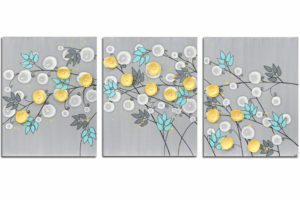 Hang the three canvases as a set.